This month we are looking at one of Canberra’s older and more established suburbs, Braddon. Braddon, formerly known as Ainslie, is conveniently located only 2.5kms from Canberra’s Civic Centre. It is part of the city’s ‘Inner North’ alongside suburbs such as Acton, Turner, O’Connor, Lyneham, Watson, Downer, Hackett, Dickson, Reid, Campbell and Russell. First settled in 1922, Braddon was gazetted as a division name on 20th September 1928. It was named after Sir Edward Braddon who was a Legislator, Federalist and one of the Founders of the Constitution. Braddon is largely residential and is one of Canberra’s most densely populated areas. Due to its close proximity to Canberra’s Civic Centre, it does not have its own local shopping centre, instead sharing its retail and commercial area with Canberra city. Braddon’s commercial and retail centre offers a great variety of goods and services attracting customers from the immediate local area as well as many other suburbs of Canberra. Students at the Australian National University find the suburb to be a convenient location for them: Fenner Hall on Northbourne Avenue is used for student accommodation. Braddon is also home to many schools and child care facilities. Some of these include Ainslie Primary School, Merici College and Good Start Early Learning, Braddon. The Arts are well represented in Braddon. The original Ainslie Public School building, built in 1927, is now called the Ainslie Art Centre and is the home of Music For Canberra, the Australian National Eisteddfod and the team of the Canberra International Music Festival among others. The building is heritage-listed, and underwent an internal renovation in 2014/15. It now boasts beautiful facilities suitable for tuition, rehearsal and performances by community and young musicians. 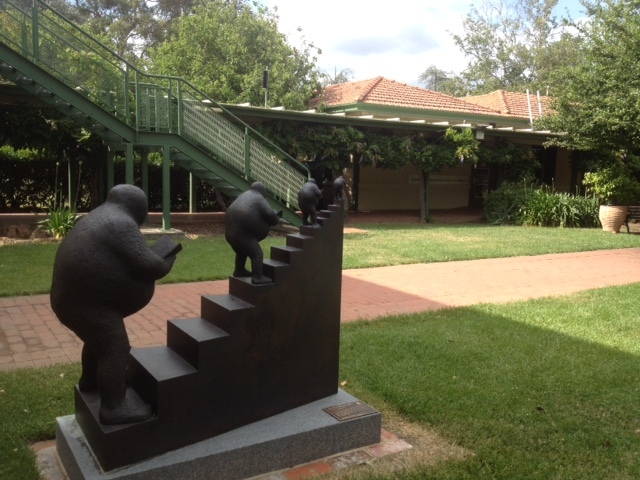 Gorman House is also a heritage-listed building that is now host to the Arts. Building commenced in 1924 on the group of buildings that started life as a hostel (known originally as ‘Hostel No. 3’ or ‘Hotel Ainslie’. 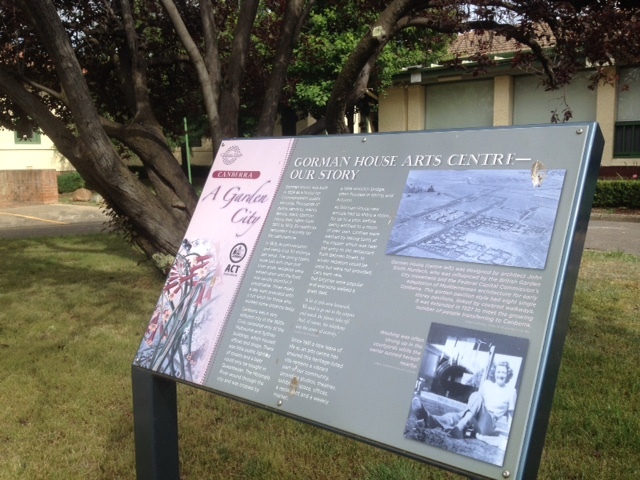 It became known as Gorman House in 1927 and continued to be a hostel until the 1970s. It is now home to many local arts groups including ACT Writers Centre, Canberra Youth Theatre, Canberra Contemporary Art Space and QL2 Dance as well as Sage Restaurant. It also hosts a popular local marketplace every Saturday morning. 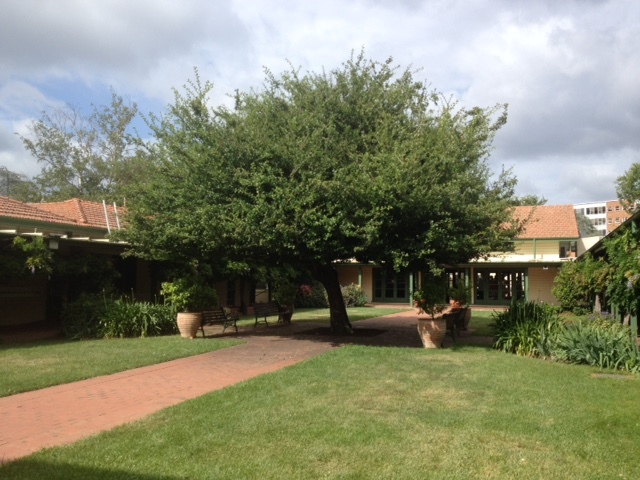 As well as community facilities, Braddon also boasts some beautiful green spaces and outdoor areas. It is situated roughly half way between two well known Canberra landmarks – Black Mountain to the west and Mount Ainslie to the east (Source: ACT Planning And Land Authority). Haig Park is the major open public space in Braddon and is designated a ‘District Park’ which means it is a large informal park, offering recreational facilities such as barbeques, adventure playgrounds, and skateboarding areas. This lovely space is highly valued in terms of historical significance and what it offers the community. In Braddon you can also visit several small art galleries, restaurants, cafes and bars, and gift shops. The suburb also boasts an eclectic mix of homeware stores, vintage op shops, popup art displays, and fashion and design shops. If you haven’t already, take some time to visit this bustling, hip suburb.